•Minimum 640 credit score required. •Financing to 96.50% of lesser of sales price or appraised value. •All KHC DAPs and other KHC-approved secondary financing may be used. •Maximum ratios of 40/45 with AUS approval. •All borrowers must be scored by TOTAL and receive approve/eligible or accept/accept. • Maximum loan-to-value (LTV) ratio is 80%. • Maximum ratios 40/45 with AUS approval. • Pre-purchase education required as per AUS findings. • Not available for manufactured housing. • Appraiser Independence required (see page 4). • KHC does not presently have a product for 81% LTV or greater. • Financing to 100% of the appraised value, plus guarantee fee of 2.0%/0.3% annual fee. • All KHC DAP programs and other KHC-approved secondary financing may be used. • No maximum on seller-paid items. • Ratio requirements and guarantee fee per agency guidelines. approval, expanded ratios up to 40/45. 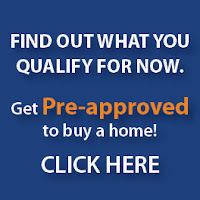 •Financing to 100% of the lesser of the appraised value or sale price. •All KHC DAP programs and other KHC-approved secondary financing may be used. FHA loans in Louisville Kentucky can benefit those who would like to purchase a home in louisville but haven’t been able to save enough money for the purchase: like recent college graduates, newlyweds, or people who are still trying to complete their education. It also allows individuals whose credit has been marred by bankruptcy or foreclosure to qualify for an FHA loan. JOE PEERY GROUP APPRSRS INC.